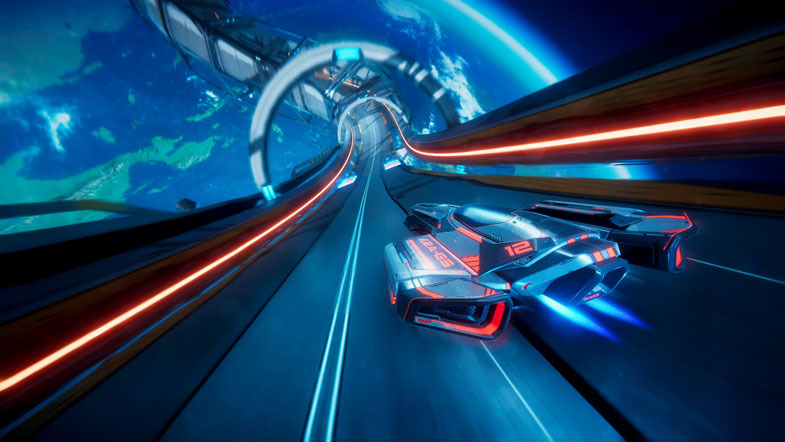 During hover racer online training days, Unity’s Mike Geig and Andy Touch will show interested developers how to build an anti-gravity racing game of their own using assets from Antigraviator. Developers Cybernetic Walrus will join the Twitch streams’ chatroom to interact with fans and answer questions on developing with Unity and Antigraviator. Interested aspiring developers can sign-up for the event through the official Unite Hover Racer Online Training Days website. In Antigraviator, players will race on exquisitely detailed stages, full of light-speed danger, chaos and mayhem. Gamers will guide their Grav in three gameplay modes across four different worlds with three tracks each. These dynamic courses come to life, while pushing the power of Unity to the limit. The hotly anticipated anti-gravity racing game recently won the Audience's Choice Award at Indie Garden Assembly 2018, where enthusiastic visitors voted the game as their favorite. In anticipation of the release in a few months’ time, it is already possible to enlist for a preview key. Since Antigraviator will be launched on PC, PS4 and X1, please let us know your preferred platform.